Louis-Émile Durandelle was one half of a photographic team with Hyacinthe César Delmaet from 1854 until 1862. After their partnership dissolved, Durandelle continued to photograph, specializing in photographs of architecture, particularly public buildings, in France throughout the 1860s. He photographed the Abbey of Mont-Saint-Michel and the construction of the Théâtre de Monte Carlo. In 1870 and 1871 he photographed the Paris Commune, the insurrection against Napoleon III's government. 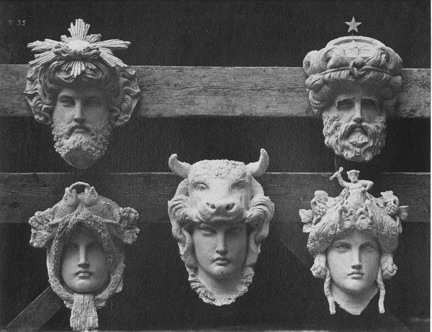 In 1876 Durandelle published a portfolio, Le Nouvel Opéra de Paris: Sculpture ornementale, a ten-year documentation of the sculptural decoration in the Paris Opéra. From 1887 until 1889, he documented the erection of the Eiffel Tower.